7-11 | six words to change the world. attention readership: it’s free slurpee day! Huzzah! 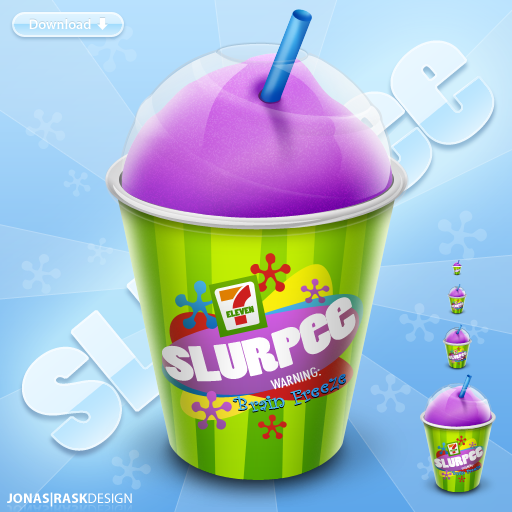 Time to head over to the nearest 7-Eleven and get your free Slurpee– perhaps it will help you fight the heat. And if you live in DC with only one AC unit in your apartment, like yours truly, you need it. And I just figured this out while writing the post… want to know why today is free Slurpee day? Because it’s 7/11. JULY 11th! Ahh! So simple. big gulps, huh? see you later! 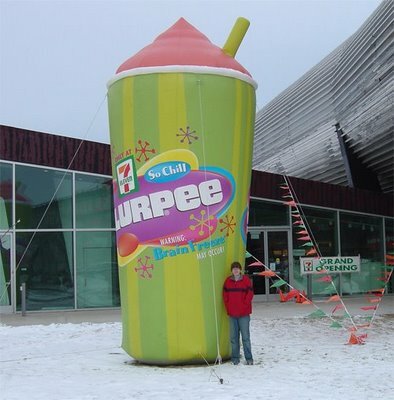 It’s free Slurpee Day at 7-11! Get some! Sadly, there are no 7-11s where I live. And in the town where I used to live, that’s where you went to watch the drug deals go down. But whatev. Enjoy! And I KNOW that the Big Gulp isn’t the same as the Slurpee, but I will never give up a chance to make a Dumb and Dumber reference. And I thought the title was somewhat clever.